Italian Glass Oblong Pendant with hanging bail - with Made In Murano motif on the back to ensure authenticity; comes complete with certificate of authenticity. 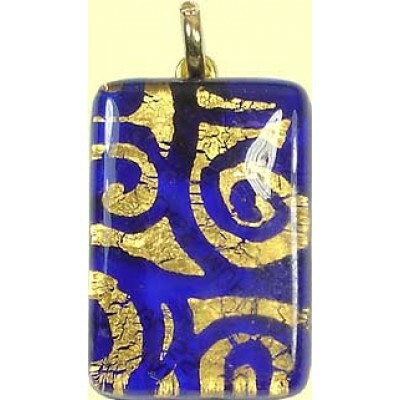 Goldfoil swirls on sapphire glass base on goldtone bail. Measures approx 22x32mm exclusive of hanging bail.